Older diesel vehicles are to be banned in eight streets in Berlin by the end of March 2019 – with bans on diesels in further German cities expected to be announced imminently. 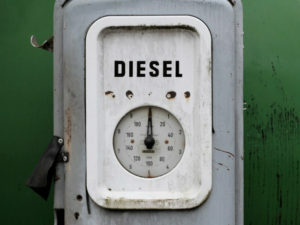 The ruling by Berlin’s administrative court means the German capital will become the sixth city in the country – following Stuttgart, Munich, Düsseldorf, Aachen and Frankfurt – to ban diesels not meeting the Euro 6 standard, after the German Federal court clarified that cities can ban older diesels from their streets and are actually required to do so in areas where they are the fastest solution to pollution. The case was brought by German environment and consumer protection organisation Deutsche Umwelthilfe (DUH). Lawyer Peter Kremer, who represented DUH in the proceedings, said the judge confirmed that beyond just meeting a regional average, the air in every part of a town must be safe to breathe. The court also said that if Berlin failed to implement street-by-street bans, a citywide ban would become unavoidable. According to DUH, the court also condemned the German government’s diesel deal as ineffective; it should have included all 115 German towns and cities affected by illegal levels of air pollution, and required hardware retrofits for all Euro 5 and Euro 6a-c vehicles. Environmental lawyers at ClientEarth – which has also been taking legal action for clean air in Germany – said that more German courts are expected to order bans before the year is out. ClientEarth clean air lawyer Ugo Taddei said: “The Berlin judgment proves that the Merkel government’s lacklustre attempts to protect the damaged diesel industry will not be enough to prevent court-mandated bans.